We owe so much of our freedoms to our Veterans that have offered up their lives to keep America Safe and Free. Here are some of the ways that you can show your support today in Modesto. Modesto’s Veterans Day Parade – ‘The End of World War I’ 9:00am Downtown Modesto 9:00am. Begins at 10th and O St., proceeds down Needham Street to Graceada Park. A Ceremony will be at the park following the parade. The Flag raising ceremony will include a 21 guns salute and prayer. New Veterans will be present. There will the announcement of the new Veterans Board of Stanislaus County. The park will have food and refreshments as well as local veterans’ services booths. Patriotic music will be MoBand. Richard Edgecomb 209.521.0093. The California State University Stanislaus Department of Music and the Gallo Center for the Arts are proud to partner in presenting a Concert Celebration Honoring Our Veterans. The concert will feature performances by the Wind Ensemble, Concert Chorale, small chamber ensembles, and soloists from the music program at CSU Stanislaus, readings on the ideals of service by community members, and comments on the experiences of service by veterans. The concert will be held in the Mary Stuart Rogers Theater, and admission is free. Tickets can be picked up at the Gallo Center Ticket Office, 1000 I Street in downtown Modesto, beginning Thursday, November 8 (limit two per person) or at the door prior to the event. To recognize and pay tribute to our country’s veterans, The State Theatre and Rivers of Recovery have teamed up to bring the documentary High Ground to The State on Fri. Nov. 2, the same night it opens in New York City, and again on Veterans Day, Sun. Nov. 11. High Ground follows 11 wounded vets returning from Iraq and Afghanistan, as they climb Mt. Lobouche in the Himalayas with blind adventurer Erik Weihenmayer. Representing nearly every branch of the military, the veterans, and the Gold Star Mom who joins the trek, bring humor and deep emotion to this hero’s journey, all captured with breathtaking, vertigo-inducing cinematography by three-time Emmy winner and five-time Everest climber director Michael Brown. The film allows surviving veterans to tell their stories in their own way and in their own words. The mountain is a metaphor for one of the basic concepts of military action: The high ground is the safest, most defensible, safest place with the greatest perspective. One of the climbers featured in the film, Modesto resident Sergeant Justin Moore, Army National Guard, and John von Seeburg, a Bay Area resident and one of the High Ground cinematographers, will be on hand at both screenings to discuss their experiences and talk about the making of the film. All proceeds from the film will directly benefit Rivers of Recovery, a program specializing in the rehabilitation of combat veterans suffering with Post Traumatic Stress (PTS), minor Traumatic Brain Injury (mTBI), stress, anxiety and depression. Rivers combines outdoor recreational activities with instruction on the self-treatment of symptoms of stress, depression and anxiety, and empowers veterans to live a life that is no longer restricted by psychological or physical disabilities. 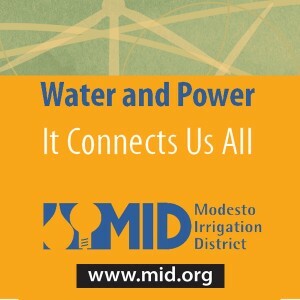 Modesto’s Citizen of the Year Dinner a no-host Social Hour at 6:00pm followed by Dinner at 7:00pm. The recipient of this years Citizen of the Year title will be announced. American Legion Post 74, 1001 S. Santa Cruz Ave., in Modesto. Tom’s Turkey Night- Veterans Remembrance- Modesto Elks Lodge #1282 Flag Ceremony will start at 5:00pm, Cocktails 5:00pm, and Dinner 6:oopm. Veterans eat free. Modesto Elks lodge, 645 Charity Way, Modesto. Honoring Veterans at Modesto’s Crosspoint Community Church 5:30pm. There will be a Veterans Choir and Veteran speakers. The guests will also have a chance to record a message to their loved ones over sea. For more information call 209-521-0181.